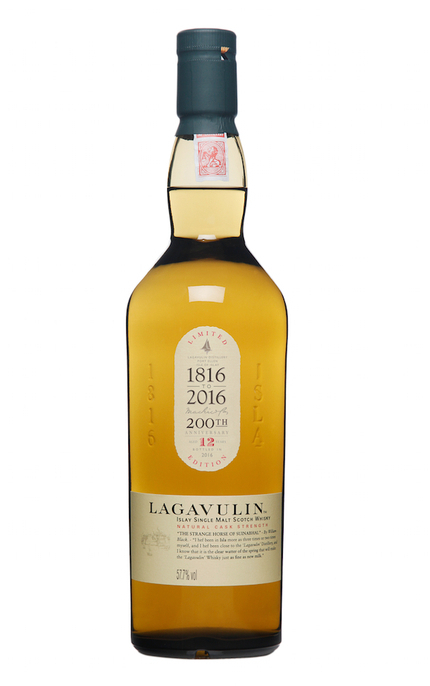 Lagavulin 12 Year Old 16th Release The 14th in a series of special 12 year old releases, this 200th anniversary bottling is from refill American oak hogsheads. 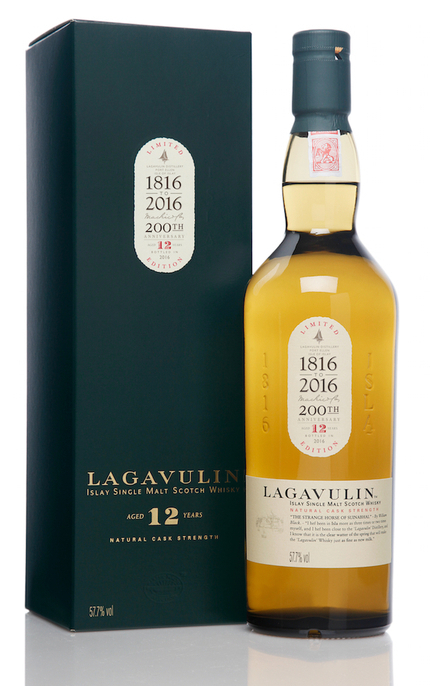 Sadly, no maximum number is declared for this Limited Edition” which forms part of Diageo’s 2016 Special Releases. Product #: 5684 4.5 stars, based on 1 reviews Rating from 1.0 to 5 £150.00 In stock! Order now! Bottled at cask strength without chill-filtration or added colour. Peat, iodine, carbolic, charcoal, tar and soot. Water dilutes but changes little. Very slight sweetness eases this powerful malt with more of the carbolic, charcoal and tar notes found on the nose but with black peppery spice. Charred notes and black pepper spice continues with water. Black and white pepper spice with more carbolic, charcoal, tar and soot.